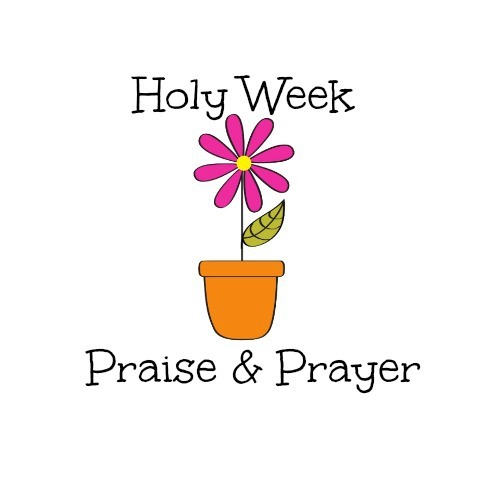 Holy Week is a time for us to praise, pray, and prepare ourselves for Easter Sunday. Mary and I would like to invite you to join Only By Prayer as we spend some time together this week doing just that. Each day this week starting on Palm Sunday, we will post a scripture from the Psalms for you to meditate on. We will use this same post for the entire week, so we will simply add the new scripture to this post each day. Be sure to check back each day. We are taking the suggested reading from the LectionaryPage.net . Here is a possible way you could interact with each day’s scripture, but feel free to let the Holy Spirit lead you. Read the day’s selected verses. Praise God using any themes that stand out to you as you are reading. Pray that the Holy Spirit will help you to incorporate those themes into your own life, into the life of your family and friends, and into our nation. Write down any takeaways you want to remember from that day’s reading and prayers. Share any of your praises, prayers, and thoughts in the comment section of the post. Feel free to respond to others’ comments as well. Thank you for joining us. You’re more than welcome to invite others to journey along with you this week too! We’ll be praying for us all that God will prepare our hearts for Jesus’ Resurrection Sunday. I thank you Holy Father that your mercy endures forever, because I am forever in need of Your great mercy! Please help me to be in Your presence so I can receive Your mercy in my times of need, Thank you that I always have hope for the future. I praise that I can always rejoice and be glad because this day I have the opportunity to walk through gates to a greater righteousness. I thank you my Holy Father. I pray help me to walk through that gate this day. Jesus is that gate. Amen! Amen! Father, I stand in agreement with Mary. I, too am grateful daily for you mercy. The mercy we can rely on second by second, minute by minute. I am so thankful you love us as you do. So true, Renea. We need never live without his presence. We need Him every hour! Amen, Mary! The breastplate of righteousness covers us, part of our armor! Father, I praise you for your mercy, which I would be so lost without! I praise you for you are a personal God (v. 28 “Your are MY God.” You know each one of us so well–that you even know the # of hairs on our head! Lord, I pray that those in my family and friends who don’t know you will be drawn to your mercy and love this Holy Week. May they attend an Easter service on Sunday. May our country be drawn to your mercy in this culture where little mercy is shown. Help me to personally remember each day to rejoice in this day because you have made it. Amen! I agree with Jane’s prayers! Also we pray those who do know You will continue to walk in greater union with You! Amen! I, too, am thankful for the Lord’s mercy and loving kindness that endures forever. What a privilege to have a personal relationship with Jesus – the One who suffered so much for us. And what a privilege prayer is. Someone once said that as we pray in His name we are releasing His power into a person’s life or situation. May we continue to persevere and not give up. Andrea, I LOVE and agree with what you said about prayer. It’s amazing to think that we can be part of God’s working in another person’s life through prayer. I think prayer is the most important thing we can do because without it, we’re working in our own power — not God’s. All we do should first be covered in prayer. Thanks for sharing! When we combine prayers, the name of Jesus and scripture we release even more power into our situations and the lives of others. Thank you for sharing and encouraging others today! So many things in Psalm 36 to praise God for: I am focusing on praising God for how He preserves us and how He is the fountain of life, from whom I can be abundantly satisfied as I pursue Him and His plans for my life. Thank you, Jesus! Father, I pray that my family would find their satisfaction in You. I pray that we can confess our pride and that you would protect us from evil. We confess the sins of America and and pray that America would seek You and Your kingdom and not be consumed by earthly pleasures. Father, During this Holy week I PRAISE you for you lovingkindness. I thank you thank that we can never out sin your ability to forgive! You have an everlasting supply of grace! I pray Dearest Father for people to hear the Good News of the cross of Christ this Easter season. Help us Jesus to have opportunity to share your Gospel of love to those in need of forgiveness and grace. Amen! Father, I praise you for your mercy. For your loving kindness. I am thankful that I can hide under the shadow of your wings in complete trust knowing you only want what’s best for me. Father I pray for my children and grandchildren, that they would want to know more about you and to grow in you daily. Thank you Father, for your sacrifices for me knowing I am so unworthy. I pray to live according to your will and in your word daily. 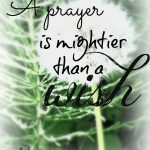 I love your prayer! I pray that for myself as well. I want to do His will and His word also! Lord, You are my HOPE and Your are my Trust from my youth! Since I was a child You have sustained me. Because of You I can have hope in any circumstance and can trust that you are working all things together for my good. This Psalm shows me that praise should be my lifestyle, not just a passing thought. Verse 6 shows us that You are the one who takes us from our mother’s womb. Father, forgive the terrible sin of abortion where man has taken the beautiful gift of new life You have given us and destroyed it. We pray that people will see each life as a gift from you and that we will stop this barbaric practice. In Jesus’ name. Amen. Amen, Jane. I am so glad he has continued to be my God from my youth till today. Even on those days when I felt like I could do it all on my own. I also pray for those mothers who are conflicted about whether to bring the life they carry into the world. Touch their hearts and help them to see abortion is not a choice. I pray our land would return to you, Father. Forgive us and continue to love us. Amen. Amen. 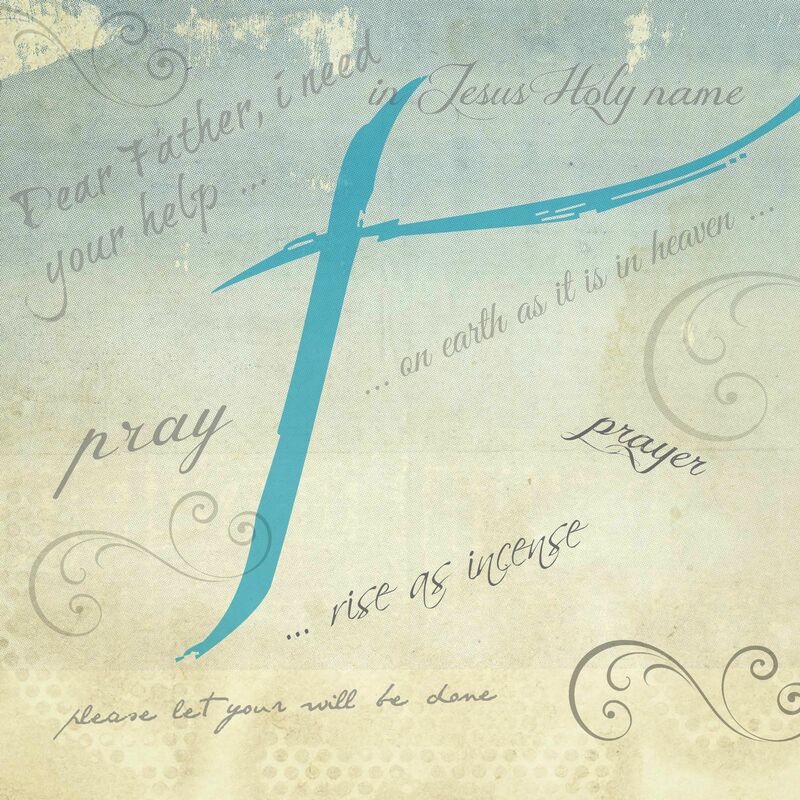 Thank you, Renea, for praying for the mothers who are conflicted. I did not think of their plight. Father, we ask you would surround them with support and love and your courage. Amen. Father, thank you that you are a Father who always delivers, always saves, always fights for us. I need some of that fight right now Lord. I pray for those who are being persecuted and oppressed because of their belief and faith in You. Give them an added measure of Your presence and encouragement this day. Help us to keep our eyes on the hills from whence our help comes! In Jesus Holy Name, amen. Father, I dwell on Your magnificence today. There is none like You. I praise you for how you are our Deliverer. We pray for the persecuted today, those who are standing for truth and paying a price for it. We ask that you would strengthen and protect them. May evil deeds be exposed to the light of the truth. Change hearts that are deceived. In Jesus’ name. Amen. Amen Father, I agree with both Mary and Jane in prayer. Surround those who are being persecuted with your armor so they may continue to stand strong and trust you. I praise you for who you are, for your glorious presence in my life daily. Thank you Lord. In Jesus name, I pray. Amen. Amen! We would be lost without your daily presence and guidance. Father, today I praise You for you hear me. You are not a god who sits far off from us, but You are the One and Only God who listens and hears and acts. I praise you for your protection. I praise you because you LOOSEN my bonds. You have set me free from the chains of my own sin and death. I praise You that I can live and walk in freedom. I pray for my family and friends who don’t know You that they would call out to You, that they would seek You. For those who are following You, I ask your hedge of protection around them, that you would loosen the bonds of their struggles, they they would walk in freedom with you.Help us all to see any areas in our lives where we need to find freedom. In Jesus’ name. Amen. Lord I thank you and praise you that you always hear my prayers! You always act according to your will and word for my good and your glory. Thank you that I am precious in your sight! Help me Lord Jesus to go forward and impact this world for Christ! Amen! Father, I praise you for always hearing me. I praise you for salvation, for the choice to follow you. Lead me each day in your will. In Jesus name, Amen. Yes, Lord; help us to choose wisely. Jesus, I praise you for Your sacrificial death that paid the penalty for my sin. You have set me free. You are my strength and protector. You are holy, and I enthrone You with my praises. I meditate on Your sacrifice especially today on Good Friday. I pray for hearts to be turned to You today. I pray for people to see truth. Help me to make praise a habit of my life. Verse 3 tells us that You inhabit the praises of Your people. Praise brings Your presence. Amen. Father I thank you and praise you that when we face our own Garden of Gethsemane of suffering, You are there. You hear, You help, You work, and You save. What others mean for evil, you use for our good. Nothing can separate us from your love. We are persecuted but never abandoned. We are crushed but don’t despair. I praise your strong and righteous name. Oh God you are my God and I will ever praise you! Amen and Amen! Lord, I praise you for your mercy endures forever! I praise you that You did not stay in the grave, but You rose from the dead and defeated death. This is the day the Lord has made. I will rejoice and be glad in it! I pray that Your love will touch and change hearts today. In Jesus’ name. Amen.